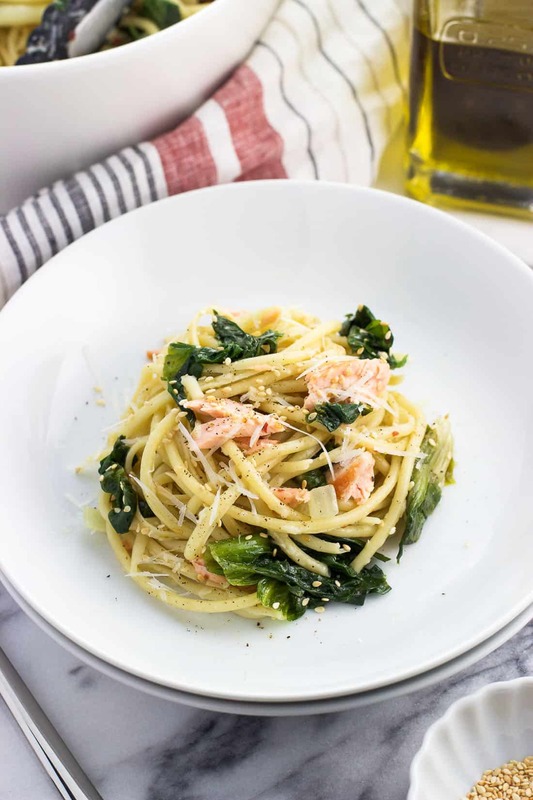 Garlicky salmon pasta with escarole features bright flavors with simple preparation for a meal fit for weeknights or weekends alike. Top with toasted sesame seeds for a flavorful treat. 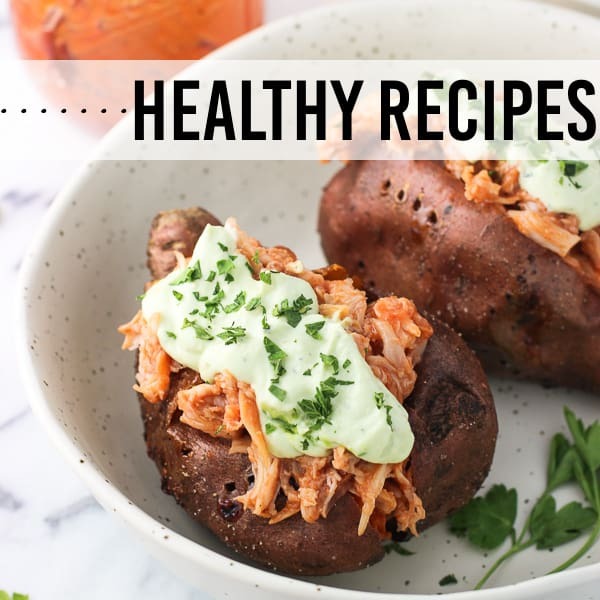 Even if you have a handful of go-to recipes, it’s hard to argue against adding another simple, weeknight-ready dinner recipe to your line-up. 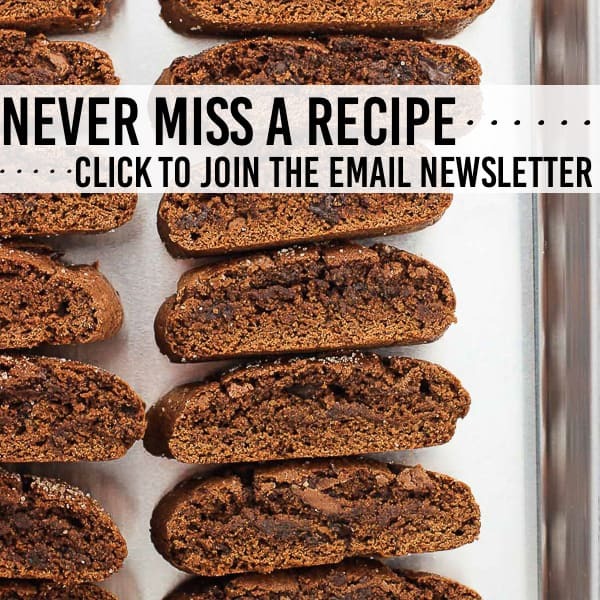 Especially if the new recipe in question features light flavors and doesn’t take long to make, you know? That’s meal planning gold. 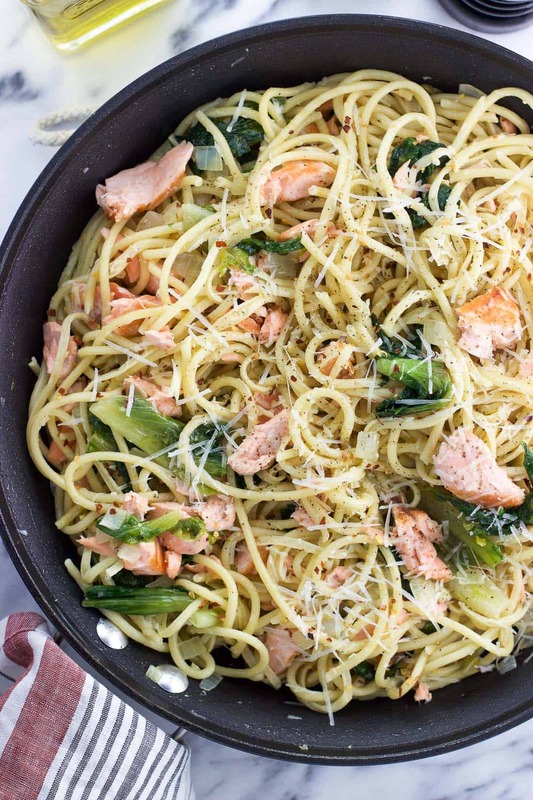 This garlicky salmon pasta with escarole fits the bill in all those ways and more. 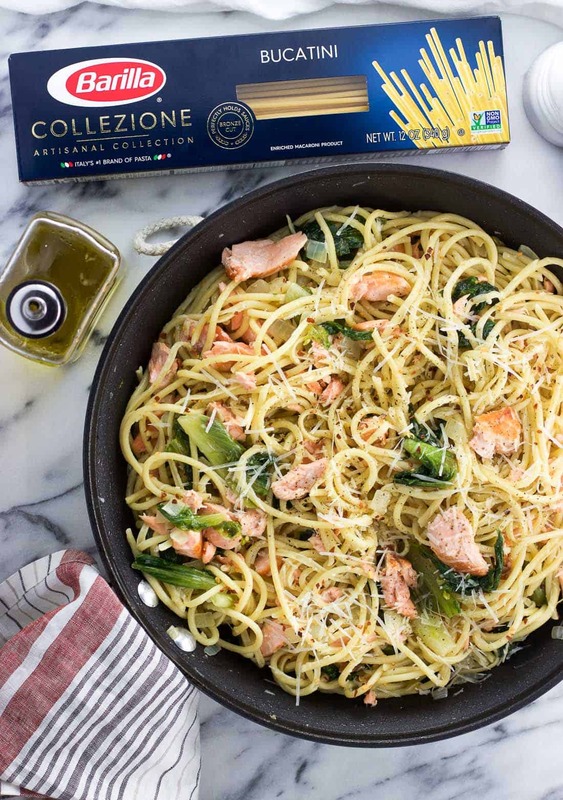 Easily prepared salmon, escarole, Pecorino Romano cheese, crushed red pepper, and toasted sesame seeds join the savory trifecta of extra-virgin olive oil, onion, and garlic atop Barilla® Collezione Bucatini for a gourmet meal that isn’t difficult at all to prepare. Each of Barilla® Collezione’s six artisanal shapes (and their signature Tortellini) are crafted using traditional Italian bronze plates for a homemade “al dente” texture that holds sauces just right, every time. Choosing this premium pasta offering is an easy way to help elevate your everyday meals. You can taste the Collezione difference! Plus, Barilla® Collezione products are made with non-GMO ingredients. 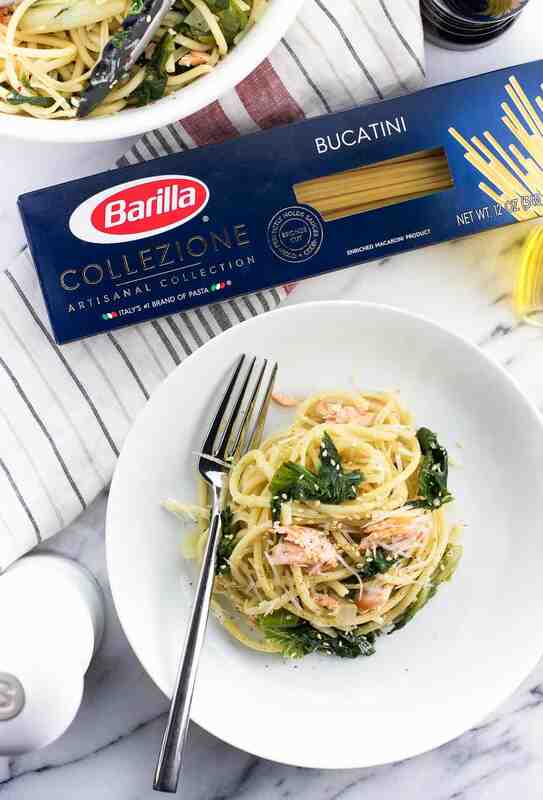 I used Barilla® Collezione Bucatini, a long and thick pasta shape, to make this salmon pasta with escarole. 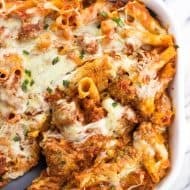 It’s a hearty shape that can take your pasta dishes to the next level in a flash. 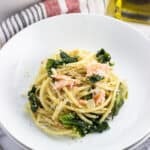 Speaking of hearty (hardy, too, while we’re at it), the leafy greens you see in this salmon pasta are escarole. While a head of escarole closely resembles lettuce (and is likely stocked next to it on the supermarket shelves), it’s a leafy green that’s a tad bitter. Bitter in a good way, of course, in that it adds an interesting and complementary element to this garlicky salmon pasta. 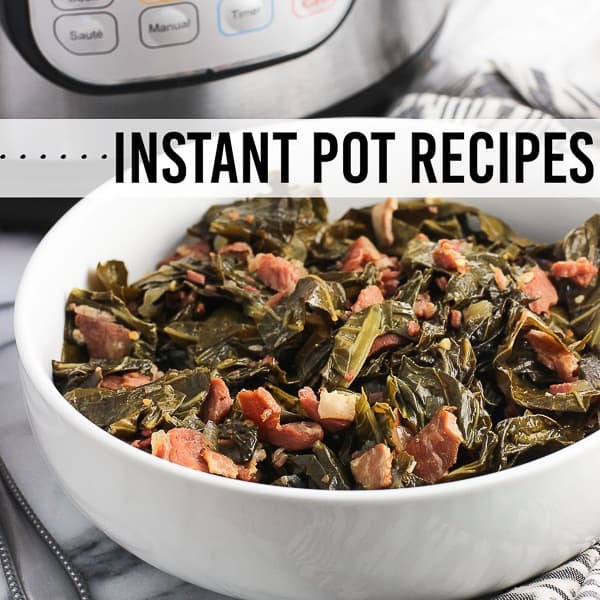 It’s hardier than spinach, so it requires a few extra minutes to cook, but will wilt down alongside the onion and garlic in the skillet. 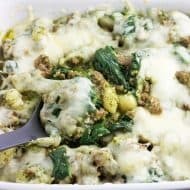 It doesn’t become mushy as spinach has the tendency to do if cooked a little too long, and holds its own in the finished pasta dish with both flavor and texture. Chances are you’ll be familiar with most of the other tried and true pasta ingredients here. But did you notice the sesame seeds? 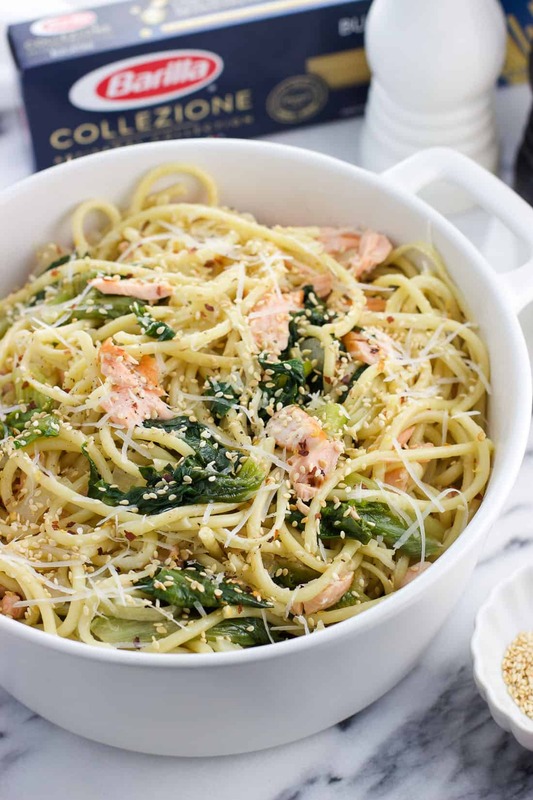 Toasting the sesame seeds brings out a much deeper, more pungent toasty flavor that adds something special to this salmon pasta dish. The idea struck me to add toasted sesame seeds to my pasta dishes while watching a travel food TV show, where they visited Rome and did just that. 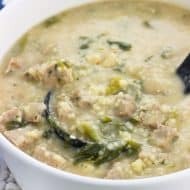 While the dish featured on the show was fairly indulgent in terms of ingredients, I thought this little ingredient powerhouse could make even a bigger impact on lighter fare. It doesn’t disappoint! You can buy toasted sesame seeds, but they’re easy to make yourself if all you have are raw. My preferred method is to place raw sesame seeds in a single layer in a dry (ungreased) skillet set over medium heat. Let them toast for 5-6 minutes, shaking them up periodically. 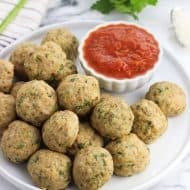 Once they’re golden brown, immediately remove them from the skillet and let them cool completely on a plate or in a bowl. That way they don’t continue toasting if left in a hot pan. Keep a close eye on them while they’re toasting because they can go from perfectly toasted to burnt rather quickly. Using this SavingStar offer, if you spend $15.00 on any Collezione products between 9/06/18 and 11/26/18 you’ll receive a $5.00 reward. It looks like I’ll be stocking up on a variety of shapes! 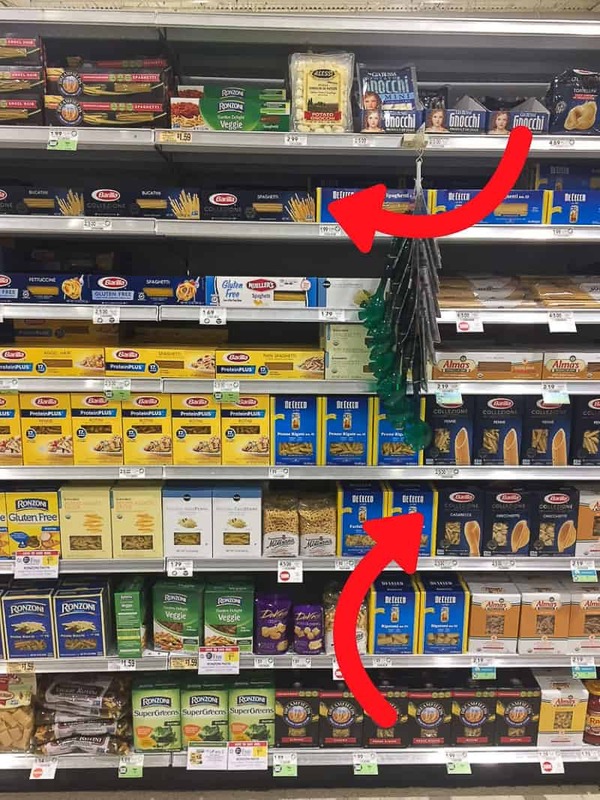 I’m eyeing up the Barilla® Collezione Orecchiette next. If you can’t find escarole (it’s usually near the lettuce), you can sub in spinach. Ideally you’d like to purchase a skinless salmon fillet here, but you can definitely just remove the skin at home if you prefer. It can just be a little finicky to remove it in an even layer. I used three large cloves of garlic here. If your cloves are smaller you may wish to add additional. Go with your tastes/level of garlic enthusiasm. Bring a large pot of salted water to a boil. 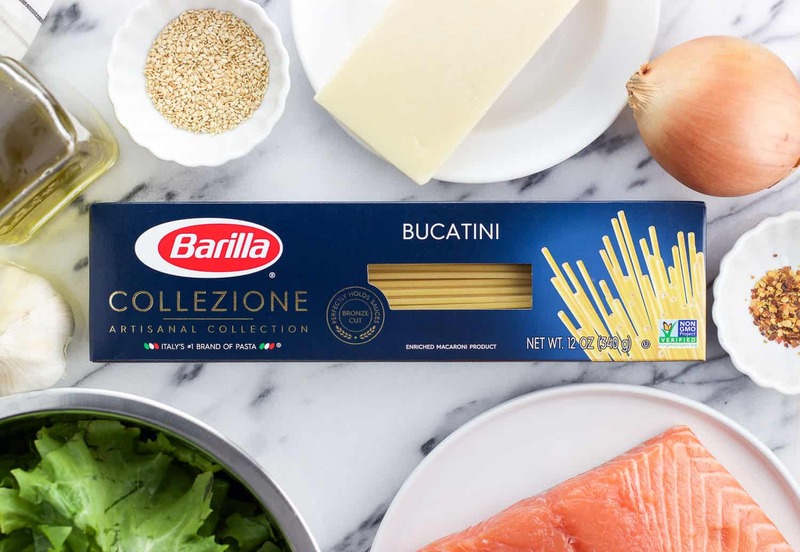 Add the Barilla® Collezione Bucatini and cook for 7 minutes, or until just al dente. Drain, reserving 1/2 cup of the cooking water. Add 1 1/2 tbsp extra-virgin olive oil to a large skillet set over medium-high heat. Season both sides of the salmon fillet with salt and pepper, then cook for 2-3 minutes per side, or until salmon is completely cooked through. Flake salmon on a plate and set aside. Add another 1 1/2 tbsp of the extra-virgin olive oil to the (now-empty) skillet. Add the onion and cook for 3-4 minutes. 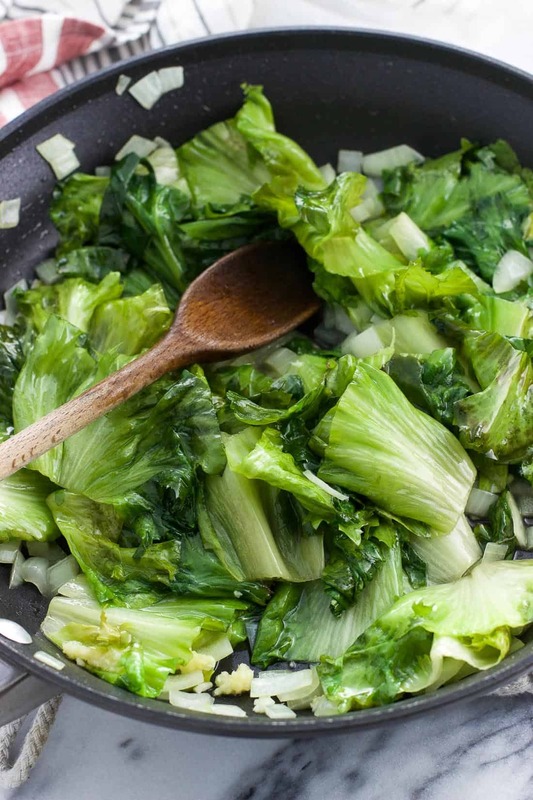 Add as much escarole as can fit in the skillet and stir everything up to combine. Space will free up in the skillet as the escarole wilts, so continue adding escarole until it's all in the pan. Once the escarole is almost all wilted, add the minced garlic and cook for an additional minute or so. Add cooked Barilla® Collezione Bucatini to the skillet and pour in the reserved cooking water. Let the pasta cook for a few more seconds, or until the liquid is absorbed. 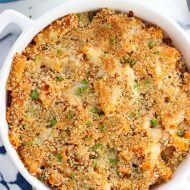 Remove skillet from the heat and toss pasta with the grated Pecorino Romano, crushed red pepper, and the flaked salmon. Season to taste with salt and pepper. Drizzle with the remaining extra-virgin olive oil. 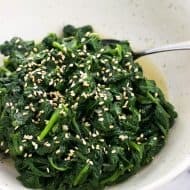 Top with toasted sesame seeds and serve. So when do you add the salmon? I don’t see it. 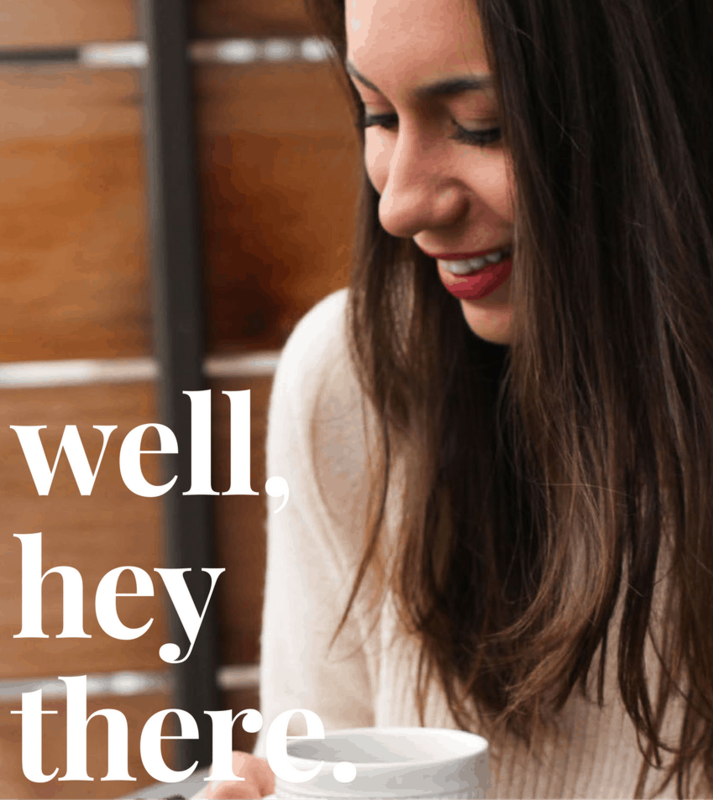 Hi Dede, thanks for mentioning that. You add the salmon back when you toss everything to combine. I’ve updated the recipe card to be clearer.